MONROVIA – The President Meter Project, an initiative of Naymote is surely creating the platform for citizens to debate public policy and promote democratic accountability across Liberia. 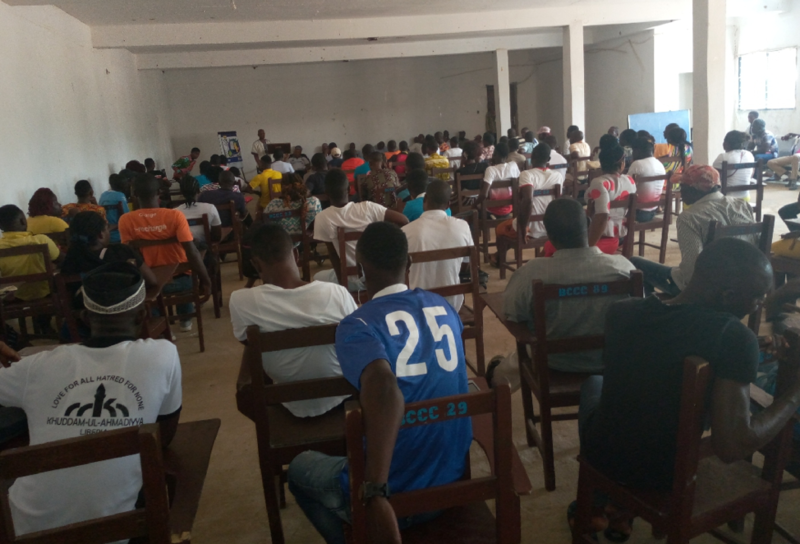 The institution’s one-year performance report of President George Weah and his government is being widely discussed by hundreds of university students and their faculty through several citizens’ forums held on university/community colleges’ campuses across the country. As part of the project, Naymote recently conducted 2 citizens’ forums at the Bomi County Community College and the Cuttington University where over hundreds of university students participated in the discussions. The discussions were facilitated by S. Aaron Weah-Weah, III and Bako Korboi Shuaibu Jr., Naymote’s Program Director and Program Assistant respectively. Copies of the report were distributed and feedbacks from the discussion were highly positive. The students and member of faculty were glad to participate in the forum. They applauded our institution for reaching out to them as well as holding the government accountable based on promises made. They promised to share the report findings with their relatives and community residents. Since the launch of the President Meter Project on July 18, 2018 in Liberia, feedbacks from the project activities have been impressive and welcoming by Liberians as well as international and national partners. NAYMOTE since the project inception reproduced and distributed 1,500 copies of the CDC Party’s Manifesto across the country to help citizens understand what was promised during the elections. Naymote also produced two (2) performance reports of President Weah during 270 days and 1 year in office, 500 copies of reports were distributed. The one year report highlighted that Naymote tracked, documented and rated 87 promises, 65 promises from the CDC 2017 manifesto and 25 promises from Presidential Priority Projects. Of the 87 promises, 5 was rated as completed, 33 ongoing, 34 not started and 15 not rated. Moreover, the institution hosted 35 townhall meetings, coffee shop discussions and radio talk shows across the country reaching thousands of citizens with information on promises documented and ascertain citizens’ view on the promises. Additionally, the institution produced a drama series titled, “We Voted, So What?”, which is being aired across Montserrado, Bong, Margibi, Lofa,, Nimba, Grand Gedeh, Rivergee and Maryland Counties, educating citizens on the CDC Party’s Manifesto and erected 150 billboards around key cities to create awareness about the project, status of promises and also engaging the media (social media and community radio stations). NAYMOTE developed and distributed 100 copies of its policy briefs on President Weah 1 year performance in office and shared through various media outlets and with various stakeholders. Over the next 5 years, the institution will collect, compile, analyze and release quarterly reports on the status of campaign promises monitored and documented. The overall goal of the project is to improve public accountability, public trust in the government and transparency in the management of Liberia’s governance processes. The project is expected to increase accountability of the government on its electoral campaign promises, increase advocacy for better governance, provide space for citizens’ participation to the debate on public policy, improve government’s performance and strengthen public service. The project is a flagship intervention of OSIWA’s political governance and democratic consolidation program and marks the seventh of such initiatives sponsored by the Open Society Initiative for West Africa (OSIWA) in the sub-region.